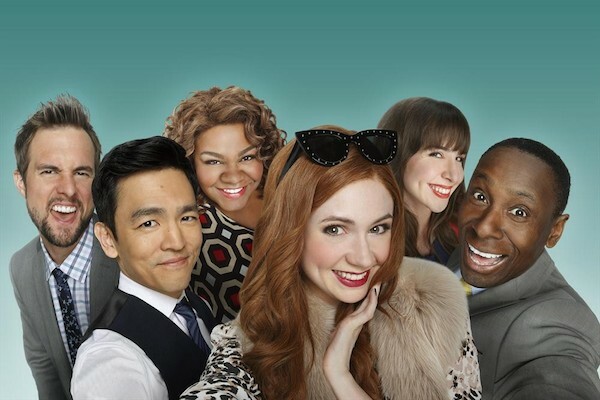 Karen Gillan's Eliza Dooley -- if that name sounds familiar, you're on the right track -- has a bit of a social problem, as evidenced by the clip ABC has revealed for their upcoming new comedy Selfie. While Ms. Dooley is super popular online, she's not doing so well with the face-to-face part of life. The clip shows us John Cho's character Henry schooling Eliza on the most basic level of politeness and courtesy, as Da'Vine Joy Randolph's Charmonique waits patiently for a proper greeting. "Instafamous" Eliza Dooley (Karen Gillan) has 263,000 followers who hang on to her every post, tweet and selfie. But one lonely day, she has a revelation: being friended is not the same as having actual friends. She asks marketing guru Henry (John Cho) to 'rebrand' her self-obsessed reputation and teach her how to connect with people in the real world. Loosely based on "My Fair Lady," "Selfie" explores the modern struggles of Eliza and Henry, as he tries to teach her how to live life offline-whether she 'likes' it or not. There's a lot of potential in the concept for this series as a commentary on "social" networking, and how antisocial it actually can be for some people. Beyond that, we have the beautiful and charming Karen Gillan as an American Eliza Doolittle for this story, awkwardly reciting the words "How are you" in the clip, as though she's never actually asked anyone that question before and isn't really sure she gets how it works. I'm already envisioning a whole episode on eye contact. And then there's the cast. Gillan (Doctor Who) and Cho (Sleepy Hollow, Harold and Kumar Go to White Castle) are both reason enough to hope that Selfie delivers. We'll have to wait and see how the trailer looks.